The S50 boards have gold color combination locks. The size is 65x43cm (26x17") closed. Checkers: 50mm (2"). The Jumbo Backgammon Sets are luxury boards designed for a high class game or a chouette. 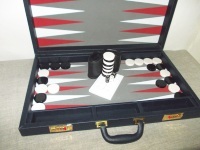 The Jumbo Backgammon Set may be delivered as on picture or as personalized backgammon boards. The size is 24x15". Checkers have 1.75" diameter. The King Size sets have gold color combination locks or (by customer option) steel, chrome plated heavy duty locks. 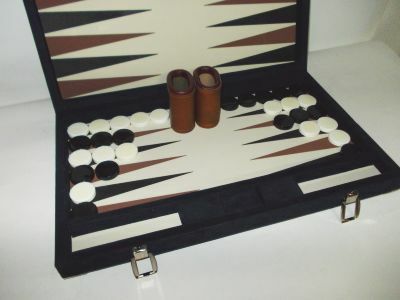 This Backgammon Set is often preferred for tournaments because of it's size. 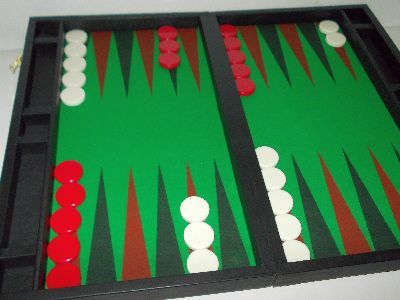 The backgammon sets have the luxury feel and heavy duty performance typical for Svilo boards. Two prices - for leather and non-leather exterior. Wide range of playing surface color schemes. Choice of exterior color. Choice of dice cups. Choice of checker colors. Golden Anchor backgammon set (21") Golden Anchor backgammon sets have the same size as the Standard S40 boards (21x26 inch open). Actually, GA was meant as an improvement, but both lines have continued their development for the last 16 years. The backgammon set Golden Anchor was designed for luxury, ease of play and heavy duty. 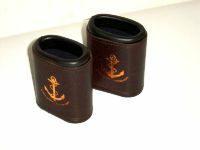 Playing surface is inlaid, the best leather dice cups since 1991, checkers have 40 mm. diameter. Gold color combination locks. 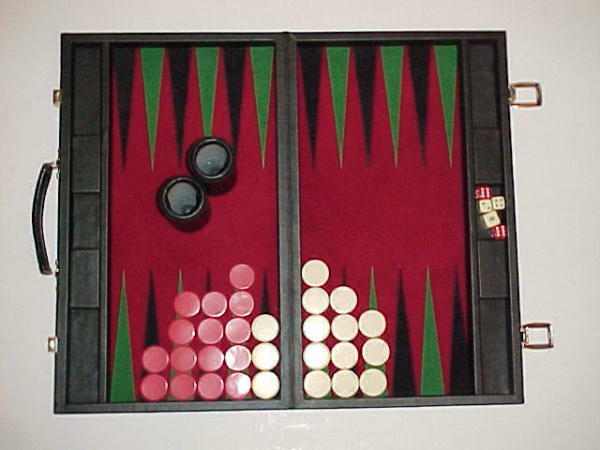 The Standard Backgammon Set (21") - model S40 have 40 mm (1 1/2") diameter checkers. Their size is 54x65 cm. (21"x26") open. 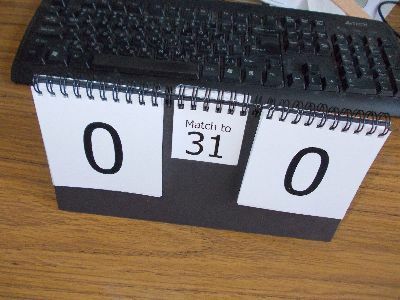 These are tournament size boards. Svilo backgammon sets were designed for luxury, ease of play and heavy duty. 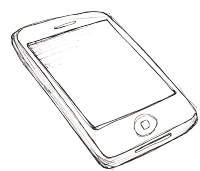 Air parcel deliveries may take about 10 days to reach any part of the world. Svilo started designing backgammon games in 1992. Handmade custom backgammon boards by Svilo are known all over the world. These are unique backgammon sets. Pick natural leather color and playing surface pattern. These hand crafted backgammons feel good and last long. 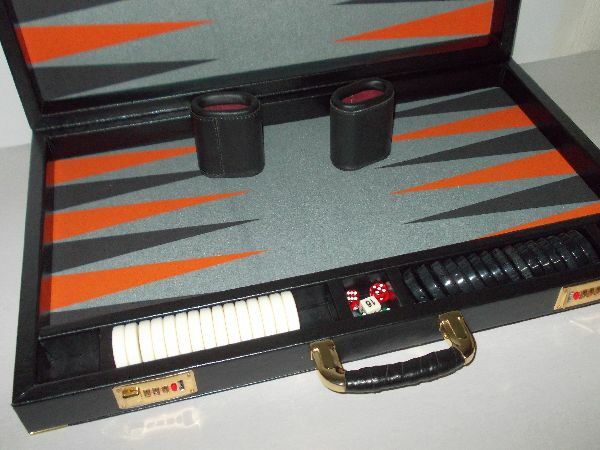 There are 4 sizes of Svilo backgammon cases. The readymade Jumbo backgammon board games have 50mm checker. They are 66cm. long. The lovers of luxury backgammon sets prefer them for high class games and chouettes. Unique backgammon boards. The tournament backgammon sets - the King Size backgammon sets have 44mm checker. They are 62 cm. long. It is the widely accepted tournament backgammon board size. The Standard backgammon attache case, the Silver Anchor heavy duty backgammon sets and Golden anchor backgammon boards use 40mm checker. They are 53 cm. long. 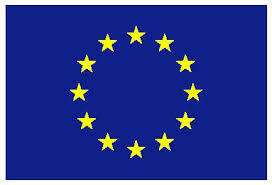 Many people prefer them to play in tournaments and clubs. Compact backgammon boards have 33mm checker. Even the Compact backgammon sets by Svilo (48cm. long) are used to play tournament backgammon. 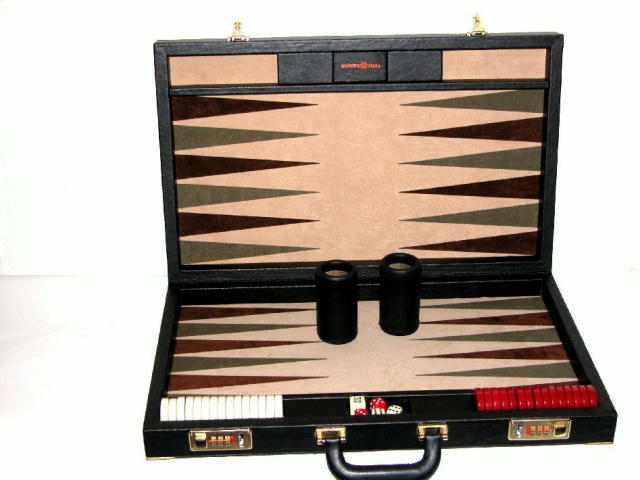 These are travel backgammon sets suitable for transportation. Luxury backgammon boards and quieter indeed.